Tuesdays are usually pretty dull so I figured I would brighten yours up by sharing a fun giveaway! Valentine’s Day is fast approaching and while having love for other people is important – it is also SO SO important to love yourself! I know I feel my best when I take the time out to pamper myself, so in that spirit, I am collaborating with a bunch of my blogger besties to bring you guys the opportunity to win a ONE YEAR SUBSCRIPTION TO BIRCHBOX! Now that is a lot of pampering! You can enter using the Rafflecopter widget below. Hosted by: Jessi’s Design, The Sequin Notebook, Going The Distance, Pink and Fabulous, Living On Cloud Nine, Lisa Loves John, Twin Living Blog and A Little Glitter. This entry was posted in Giveaway and tagged Birchbox, giveaway on February 9, 2016 by Pamela Bannon. Guess who’s back? Back again? Is anyone else singing that Eminem song now? No? Just me? Anyways, happy 2016 dolls! My long (and lovely) vacation is over and I am hitting the ground running today. 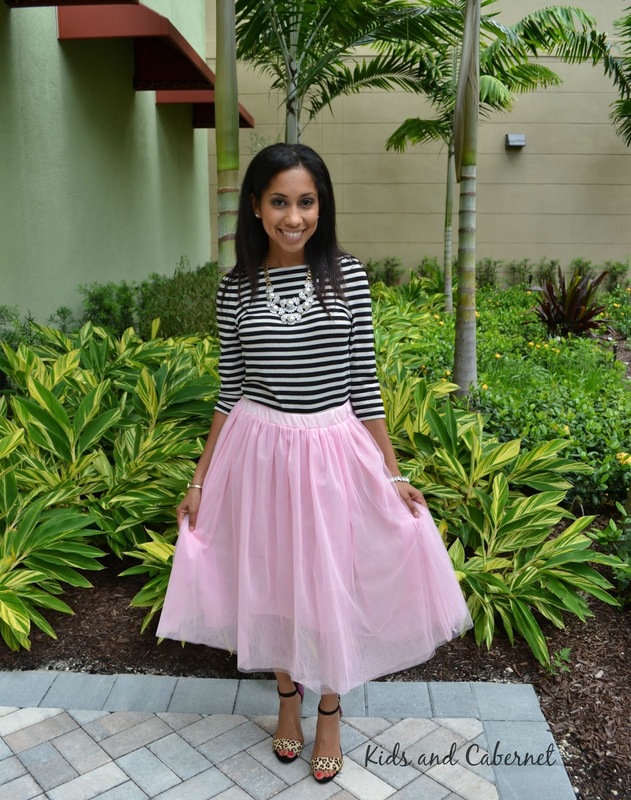 What better way to begin this new year than a fun giveaway to celebrate Brittany‘s birthday! I am collaborating with some of my blogger pals to bring you the chance to win an Urban Decay Naked Smoky Palette! This entry was posted in Giveaway and tagged giveaway, Urban Decay Smoky Palette on January 5, 2016 by Pamela Bannon. I participated in an Influencer Activation on behalf of Influence Central for Hershey’s KISSES Deluxe. I received product samples to facilitate my review and a promotional item to thank me for my participation. Since Christmas is two weeks away, I would REALLY love to be able to tell you that I am done with my shopping. Usually, I am completely finished before Thanksgiving. Unfortunately, this year that is just not the case. These last few months have been hectic and shopping had to be put on hold. Now that the dust has settled a little, I am back to searching for the perfect present for a lot of the special people in my life. I still have to buy for my family members, my co-workers, Jeter and get a few more things for my little blonde unicorn. Thankfully, I have made a little bit of a dent in my list. I find that every year there are new additions to buy for. These usually wind up being people that provide services relating to my daughter and my interaction with them can be limited to running in and picking Taylor up and whisking her off to eat dinner, do homework or off to another activity. There is not usually a huge amount of time for me to thank them for the contribution to our lives and I think that is a shame. This year I added Taylor’s new bus driver and her music teacher to the people that I usually buy for (which includes the secretaries at Taylor’s school, all 7 of her teachers, her after-school aides, her security guard, her soccer coach and the mailman). All of these people are special and I appreciate the things they do for us so much. I struggle with wanting to buy them something meaningful, that they will enjoy and staying within my budget. This year I decided to #SayMore by giving them each a 35 piece Hershey’s KISSES Deluxe gift set. These KISSES are wrapped in beautiful gold paper and are twice the size of an original KISSES Chocolate. They have a creamy chocolate center surrounding a whole roasted hazelnut, finished with delicate crisps and smooth milk chocolate. The gift sets are gorgeous and perfect for the recipient to share with their friends or family. Enter below for a chance to win your very own Hershey KISSES Deluxe gift box! *I-C will randomly select fifty winners from all program entries and will handle fulfillment of the winning prizes. This entry was posted in Celebrate, Giveaway, Holiday and tagged #SayMore, Christmas, giveaway, Hersheys KISSES Deluxe, Holiday, Presents on December 10, 2015 by Pamela Bannon. Pumpkin Spice and Everything Nice Giveaway! This entry was posted in Celebrate, Giveaway and tagged giveaway, Pumpkin Spice and Everything Nice, Starbucks on September 23, 2015 by Pamela Bannon. 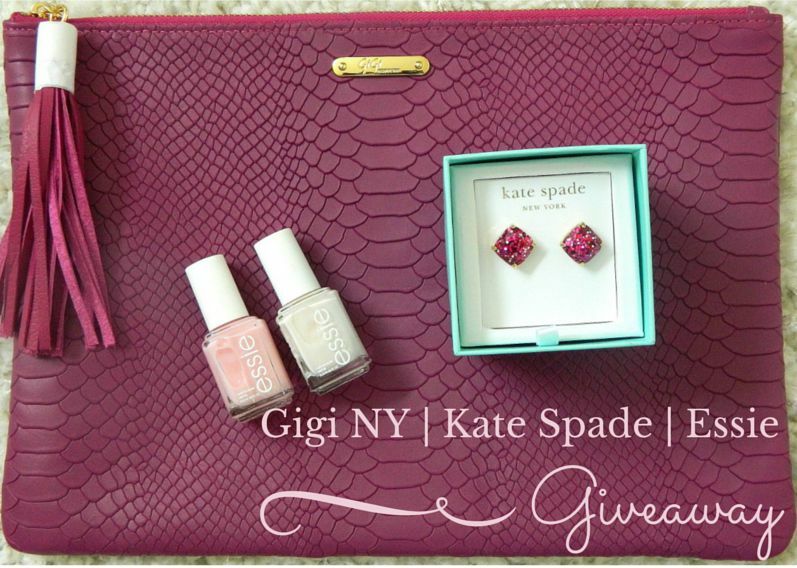 Gigi New York + Kate Spade New York + Essie Giveaway!! This entry was posted in Giveaway and tagged Essie, GiGi New York, giveaway, Kate Spade New York on August 11, 2015 by Pamela Bannon.